What is Acupuressure and How Can It Help a Tripawd? All Tripawds need pain relief at some point. The loss of that “spare” limb causes a Tripawd dog or cat’s body to compensate for the imbalance with an altered gait. The “hop” means that your Tripawd’s muscles are used in ways they weren’t meant to be used. Soreness, aches and pains are the result. The good news is that if you have fingers, acupressure is another tool that you can use to provide pain relief. Acupuncture & Acupressure use the same pressure points and meridians, but Acupuncture employs needles, while Acupressure uses gentle to firm finger pressure. When these acupressure points are stimulated, they release muscular tension, promote circulation of blood, and enhance the body’s life force energy to aid healing. These acupuressure for cats and dogs books by experts Amy Snow and Nancy Zidonis will help you get started. Acu-Dog makes ancient Chinese healing accessible for people who love and care for dogs. 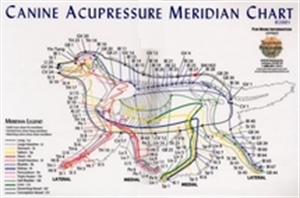 This canine acupressure book offers a highly substantive resource for learning thousands of years of evidence-based knowledge and tough theray techniques. Because dogs give us so much, it is an honor to take time to give back to them through acupressure. This book provides an opportunity for you to study and learn how to communicate your love and caring. Your dog will undersatnd your intentions, I promise. 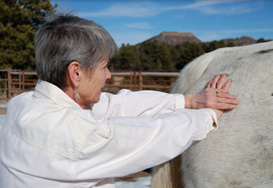 Acu-Dog is written by Amy Snow, the co-founder of Tallgrass Animal Acupressure Institute and co-author of three animal acupressure texts, DVDs, and meridian charts. Her co-author is Nancy Zidonis. She has studied Traditional Chinese Medicine, equine homeopathy, and essential oils. She is the Director of Programs for Tallgrass and teaches worldwide. Acu-Cat is your step-by-step book to learning the secrets of the ancient Chinese medicine wisdom. This is the most detailed book ever written for feline acupressure. There is no other book like that is specifically to keeping your young and senior cats healthy. The book is filled with photos and charts for you to learn how to offer your cats the best of health. 30+ Specific Feline Health & Behavioral Acupressure Sessions! 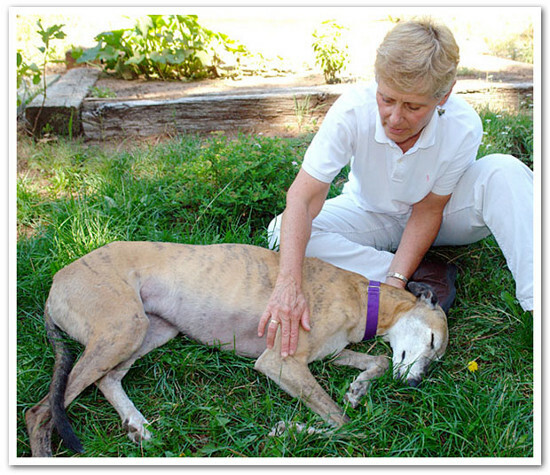 For more information about acupressure for dogs and cats visit the Tallgrass Insitute website. You’ll find everything you need to know about how to get started. 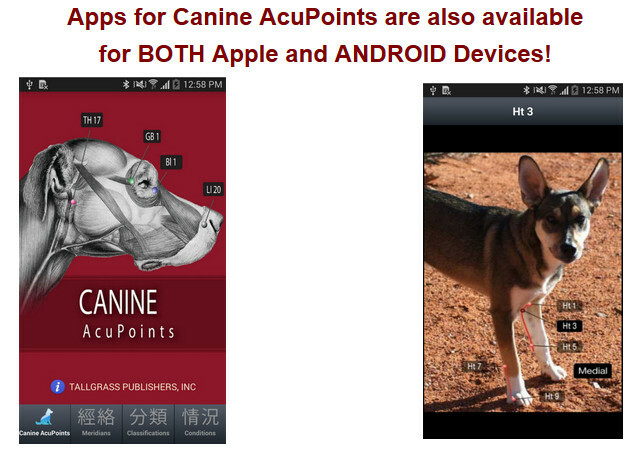 The Tallgrass Institute even has smart phone apps to help you find acupuressure points on dogs! Thanks for making all of your Amazon purchases through the Tripawds Amazon Blog. A small portion of every sale goes toward defraying the costs of maintaining this community. Yeah, I’m thinking the same thing Michelle. Acupressure that we can learn and do at home…sounds good to me! Tha ks for giving us the information!